A Blockchain dedicated to facilitating and protecting the work of the global fashion industry! March 29, 2018 – DasCoin, the blockchain-based currency at the center of an innovative digital asset system, has invited Haute Couture designer Julien Fournié to inspire a blockchain solution securing the entire fashion design value-chain. The fashion industry, like many, requires confidential sharing of designs among multiple parties. Protecting intellectual property in this fluid ecosystem has always been a challenge and, the solutions to date are expensive and lack efficiency. Julien Fournié is a pioneer in the French fashion industry due to his early adoption of technology as a key element in fashion design. 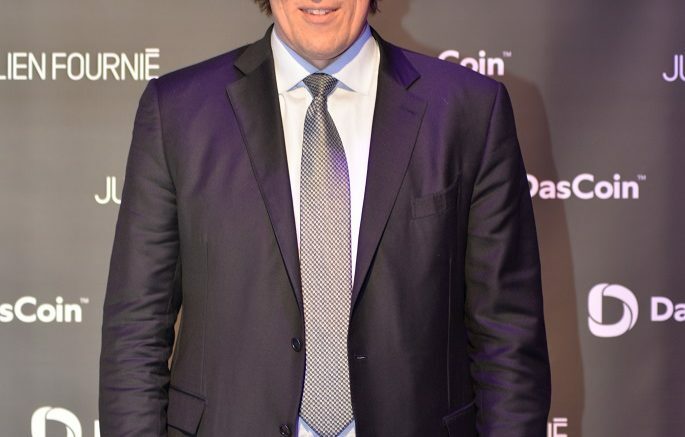 Heavily involved in research and development of 3D design tools with Dassault Systèmes, and advocating the use of mobile hardware for fashion designers (using Apple iPad pro,) Julien Fournié’s vision of the future for global fashion dovetails seamlessly into DasCoin’s blockchain based IP solution. “A fashion designer needs to protect his designs on a daily basis, at various phases of the design process in an easy, secure, efficient manner. Each and every tool contributing to these needs will prove key in the future so that fashion designers remain the real decision-makers for all of their collections. I am delighted to collaborate with DasCoin to achieve that goal.” Says Julien Fournié. Using their own fast, secure and scalable blockchain technology, DasCoin is creating an auditable, traceable and efficient solution for sharing and protecting designs and authenticating final products. Smart contracts, automated non-disclosure and other legally binding agreements will ensure that designs are only released to authenticated partners, and that their use is controlled and audited. Individual designs can be coded and registered on the blockchain to prove authenticity. All this can happen seamlessly, quickly and at very low cost meaning that no parts of the supply chain are excluded. 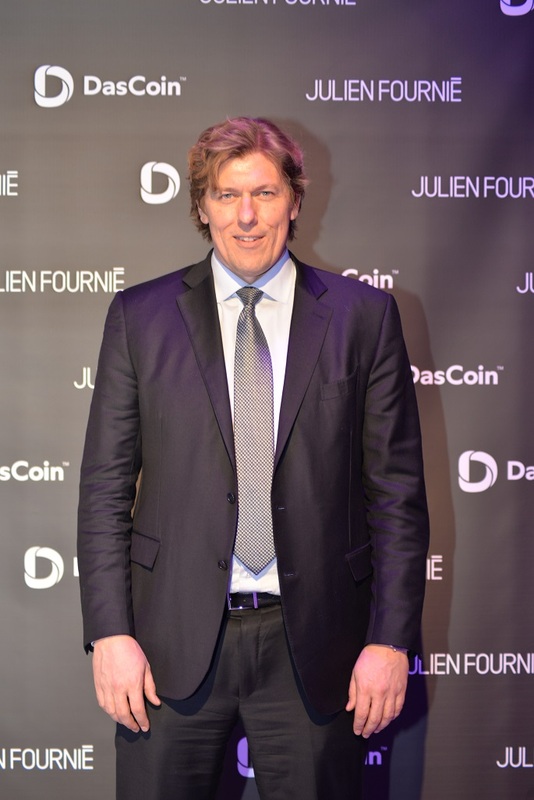 DasCoin CEO Michael Mathias will join Haute Couture designer Julien Fournié at an exclusive event held in the famous Salon Gustave Eiffel at the Eiffel Tower on March 26where Julien Fournié will interact with Das Coin’s CEO over the specific questions and needs he has as a designer that can be answered by the Blockchain; the details of the bespoke blockchain at its heart, will also be revealed alongside a Julien Fournié fashion show. “Our unique network design gives us the speed, efficiency and security to offer blockchain solutions to a whole range of industries that are suffering from huge third party costs to protect their creative work. By creating a solution for the fashion industry we are hoping that a new generation of designers can protect their creations affordably and with total peace of mind using the power of the technology we’ve developed at DasCoin. We’re very excited to reveal more in the near future not only just in fashion but across a whole range of industries including music, sports, film, supply chain, insurance and beyond,” said Michael Mathias. The DasCoin blockchain fully confirms transactions in just 6 seconds, and always will, no matter how big the network grows. Combined with a secure wallet system, an inbuilt growth engine and array of services and applications, DasCoin sits at the heart of DasNet, the world’s most integrated blockchain economy. DasPay is the world’s first cryptocurrency mobile wallet that will enable you to spend your DasCoin in 60 million merchants worldwide, directly from your smartphone. Built with our technology partner Carta Worldwide, DasPay allows any business that accepts Visa and Mastercard to accept DasCoin without changes to their point-of-sale technology. DasPay is on track to go live in 2018. DasCoin runs and constantly maintains its network to the highest standards ensuring DasCoin remains secure and ahead of threats. A permissioned consortium blockchain ensures every node is licensed and verified, and wallet partner, WebWallet, requires every member of the community to be KYC authenticated and use the Validator hardware device to access and protect their funds. The DasCoin blockchain has been live since March 31st 2017. Over 600 million DasCoin have been minted of a total supply of 8.5 billion units. Be the first to comment on "DasCoin and Julien Fournie explore the future of fashion and the blockchain at Eiffel Tower event"